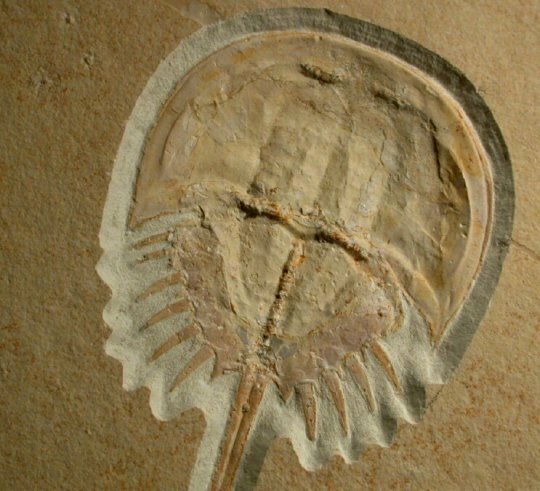 Horseshoe crabs are members of Order Xiphosura in Subphylum Chelicerata, and thus related to the extinct Eurypterids, and more distantly to spiders and scorpions. 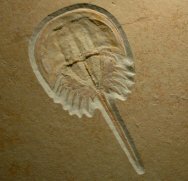 They in the latest Cambrian to the earliest Ordovician, and remain extant today, apparent little changed over geologic time. 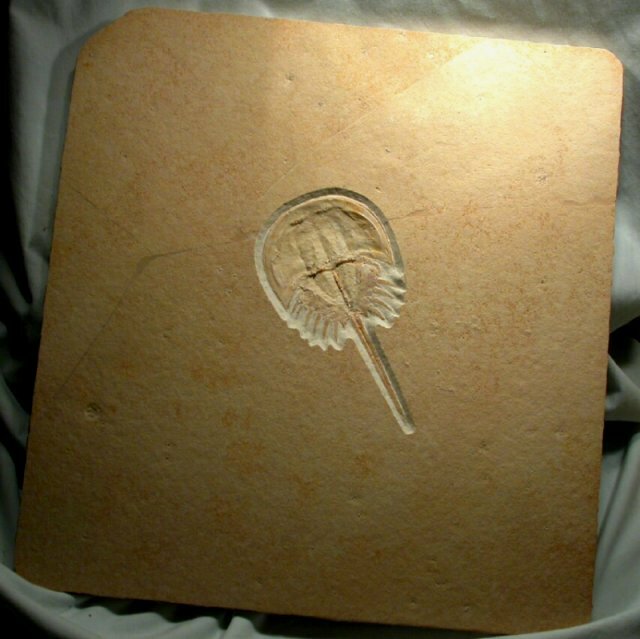 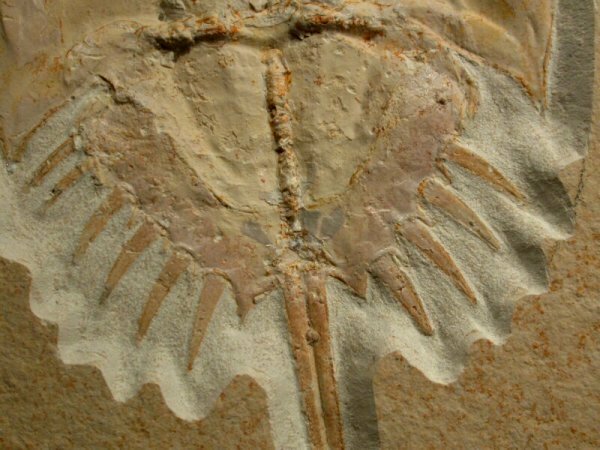 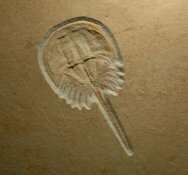 This Jurassic fossil is from the famous Solnhofen lithographic limestone deposits near Eichstatt, Germany. 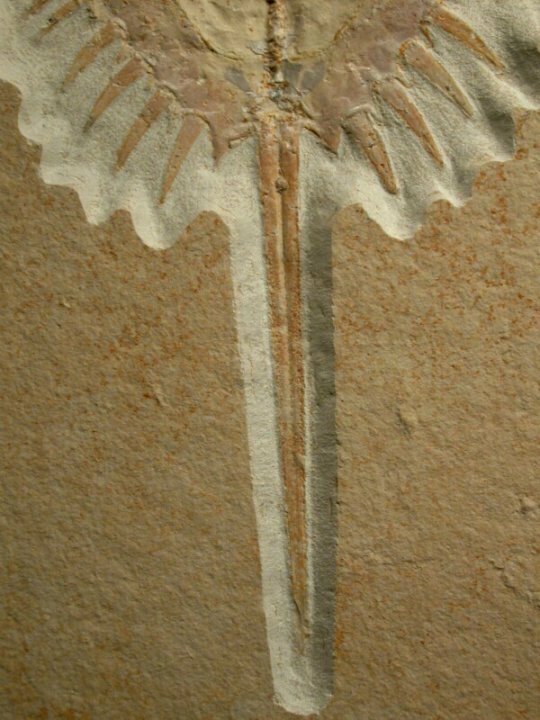 This 150 million year old lagerstätte is renkowned for exceptionally well-preserved fossils, by far the most famous being the ancient bird Archaeopteryx. 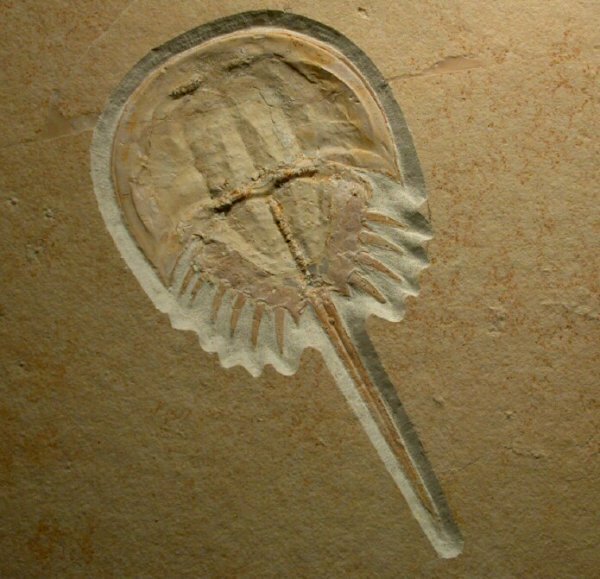 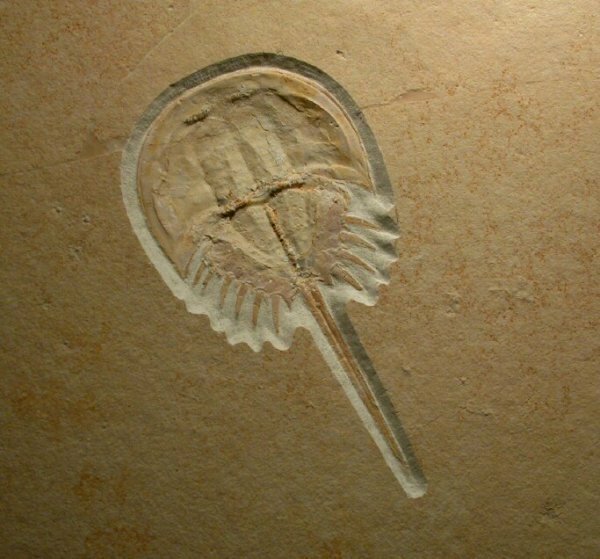 Because they have ostensibly changed little over some 485 million years, extant horseshoe crabs are often considered by some to be so-called living fossils. They were highly diverse during the Palaeozoic Era, although extant genera number but three, with but five species remaining. 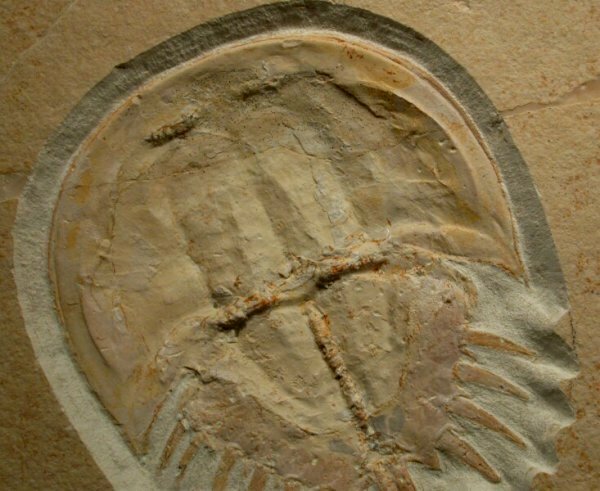 Horseshoe crabs possess a large shield covering their cephalothorax, and a carapace that is hinged between the cephalothorax and the abdomen. 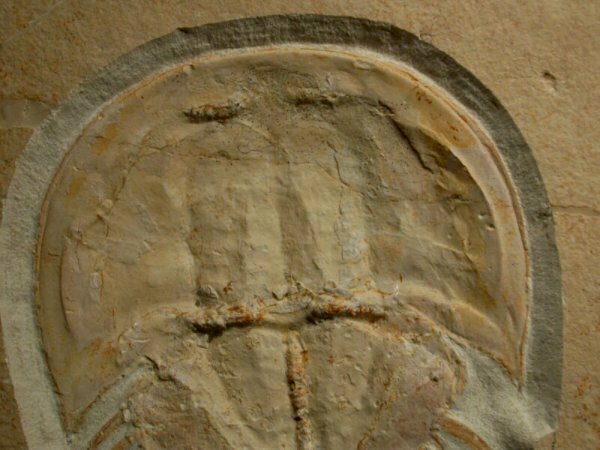 A strong exoskeleton has three parts, the large semicircular cephalothorax, the opisthosoma that is the posterior portion of body behind the cephalothorax, and a long tail spine (telson). 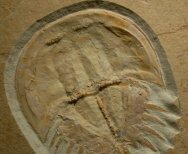 The trilobite-like morphology is apparent, and some scientists consider Xiphosura to be the closest living relative of trilobites.